Besides looking cool, those large numbers are useful now that I'm in my '40s and starting to need reading glasses! The guy who built it is known for his "lume". My photo doesn't capture it that well but it glows like a torch. Good thing they don't use radium anymore or my wrist might fall off! I'm in my 50's and I really should contact my relatives in Switzerland. It's not often that you see a Unitas 6497 that's decorated that well. It reminds me of what you see on the later Hamilton 992Bs. It's not often that you see an open-faced PW movement used in a wristwatch, and most of the ones that do go ahead and put the stem at 12:00. I really like that treatment here. The American watch industry started to die out in the in the '40s, and was gone by the end of the '60s-the last Hamilton 992B, which the gold standard Railroad pocket watch, was made in 1969. This was about the time that self-winding movements became popular, and I'm not aware of any American-made self winding movement. Manual wind and automatic wind movements are still made, and are relatively common. They're still made in Switzerland, and, with varying levels of quality, in China and Japan. The Swatch group owns most of the old American brands, and still sells watches-primarily automatics. Swatch also owns Omega and a couple of other high-end brands. Also, Bulova, which was always been an American company but almost universally used Swiss movements, is still around. The Swiss company ETA makes ebauches(loose movements) which are used by most of the above brands. Finally, there's Rolex, who almost universally use automatic movements of their own design and manufacture. Thought I'd add in another one for everyone's viewing pleasure. This is one I'm repairing for a friend. It's an Illinois 21 jewel "A. Lincoln", circa 1915. This is a railroad grade watch, and was the #3 in quality in the Illinois line-just behind the 23 jewel Bunn Special and 21 jewel Bunn special. Of course, it has all the standard railroad features-16 size, lever set, double roller, and a Montgomery dial. The hands are finished in purple rather than blue, as is typical Illinois watches. This movement has the very attractive narrow-stripe demaskeen that Illinois is noted for on their high grade movements. It also has raised rose gold jewel settings, a steel escape wheel(a premium option in 1915), and gold balance screws. I'll have to take some pictures of it disassembled, but the finish on everything-even the unseen parts-is top notch. Wow, what a great watch! The quality of the fit and finish is obvious, no wonder things made well used to be compared to a fine watch. Beautiful watch Ben! The detail is wonderful. Your photo captured the purple color of the hands. It would be fun to know the stories of the pockets that watch has seen. This is ironic, I just decided to branch into windup wristwatches. OK, watch people. I have a Bucherer Automatic Archimedes that my parents-in-law bought for me in Europe in the late 1960's. Very nice watch, but it quit running soon after I got it. Something about the winding mechanism doesn't wind. I've been in touch with the factory, and they want the price of a small car to fix it, so needless to say I haven't done it. Note that the model name of this watch is Archimedes, and it hasn't been made for at least 40 years. Not exactly an antique, but getting there. Bucherer now has a model called Archimede, which is not the same thing at all. Any suggestions? Should a local shop be able to repair this? Any local shop should be able to repair the movement itself and get it running. This is especially true if it uses a Swiss ebauche from ETA or the like, which is what most imports use. 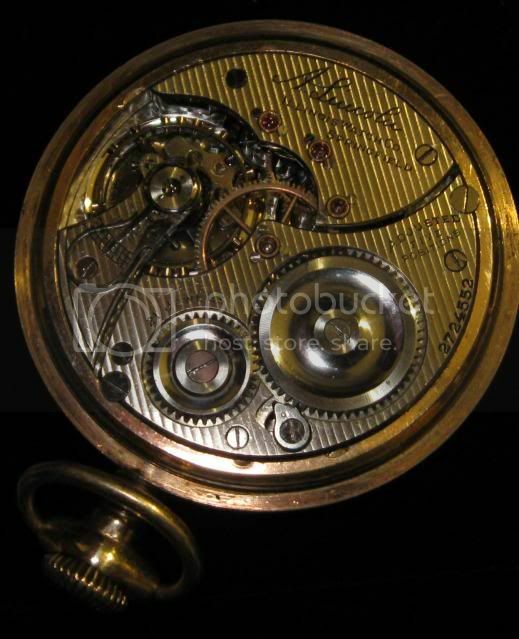 The real issue a local watchmaker can run into is that case parts are going to be specific to the manufacturer. After 40 years, you're going to need a new gaskets, new crowns, and probably a new crystal in order to make the case water resistant again. These parts will need to come from the factory. I'm not overly familiar with Bucherer, so I don't know what their parts policy is. You'll find, though, that the policies on who can buy replacement parts are all over the map with the Swiss companies. Rolex, for example, will allow anyone who can show that can show they have a clean working environment to open a parts account and purchase parts. Tag Huer will only allow factory-trained repairmen working for authorized dealers to purchase parts. Patek-Phillipe($$$) won't sell part to anyone. If nothing else, you should be able to get it running, although you may have to be extremely careful with it to keep it away from water. How about this line of watches? They are supposed to be really accurate. The nylon band is not as elegant as leather or metal, but I am sure one could be found to retrofit any model you buy. 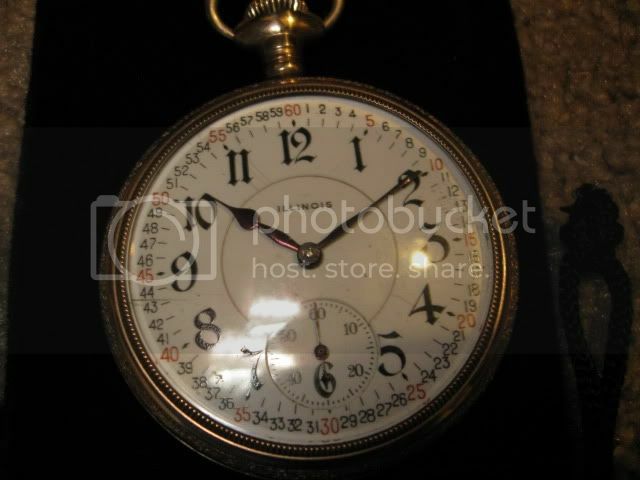 First up is a Westclox Scotty pocket watch, I think they called them Dollar Watches. It's dated 8/73 and I bought it at a Thrifty's when it was new. I carried it until 1980. It still works, but only if it lays on it's back. Next up is my graduation from 8th grade gift in 1980, a Timex digital wristwatch. I wore it until 1988. It used to be a pretty gold color, and it has all the geek features that gained me entrance to the secret society of uber nerds. Moved to a Pulsar analog quartz in 1988. It's nice and little as I have tiny girly wrists and big watches look goofy on me. (I can still wear all these, including the 1980 Timex digital) This watch no longer works, sadly. It was made in July of 87'.